We are one of the top suppliers of auto parts in New Zealand. 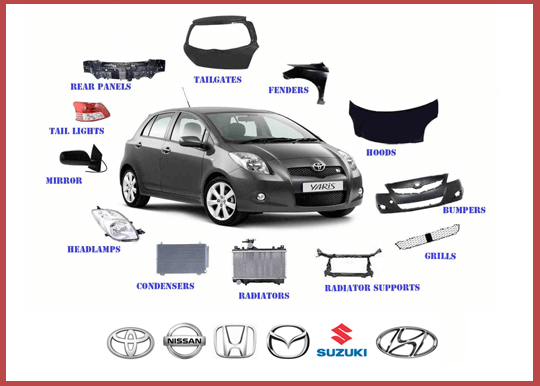 Currently we are Capricorn and Partstrader member supplier of Toyota car parts. Buying a used Toyota part from Japanese Car Parts will cost you significantly less than buying the same part new. You can also be sure that our team has checked the part for quality with a full inspection. Therefore, in order to get a quote for the part you need, contact a member of our team today on 0800 57 27 87 or click here to use the contact us form. Your old, broken, wrecked, or unwanted car is worth money, whatever its condition. When you contact us at Japan Car Parts, though, you’ll get the best price. This is because we buy all models of Toyota. As we’re the best Toyota car wreckers and Toyota Car Parts suppliers in Auckland, we’ll collect it for free as well. Find out more below. We pay up to $15,000 in cash depending on the condition of your Toyota car. Not only that, we buy all models from any year of production, plus we’ll collect your old car for free. You’ll get the cash immediately too, so there are no delays. Find out how much your toyota car is worth, you should call us in order to get a quote on 0800 392 392. You can also request a quote using the form on this page. Japan Car Parts is a specialist Toyota dismantler in Auckland. As part of our service, we offer free vehicle removals anywhere in the wider Auckland area. In fact, we go further than this, covering most of North Island. If you want to book a free removal for your car, get in touch today. We’ll also give you a quote, so you will know exactly what you will get when we take your car away. Use the form on this page or call on 0800 392 392. In fact, we are dealing with not only the above models cars but also dealing with trucks and light commercial vehicles at Japanese Car Parts. Therefore, if you have any truck we are interested in buying your truck be it from any manufacturer. As with our car wreckers service, our Toyota wreckers service ensures you get the best price for your vehicle. Therefore, contact us today to get a quote for your truck.